Bright and sunny, 3 bedroom unit in Traders Pointe Townhomes is move-in ready! Enjoy a maintenance-free lifestyle in a peaceful neighborhood nestled in the heart of Historic Traders Pointe. Plus, this unit has a perfect view of the pond with water fountain! The interior features a loft, vaulted ceilings, gleaming hardwoods, granite countertops, stainless steel appliances, and plenty of storage. The vaulted master suite has a large walk-in closet, double vanity sinks, and full shower. 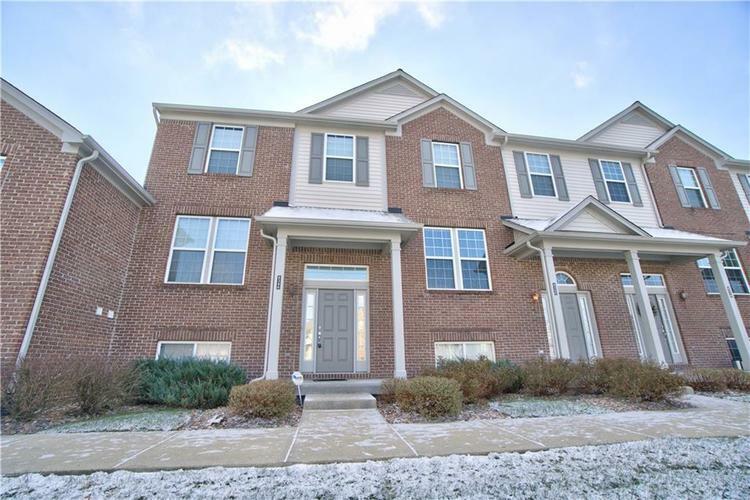 Just minutes away from 65 and 465, this location provides easy commutes and is close to shopping, schools, entertainment, Eagle Creek, and more! All appliances stay so you can move in today! Directions:From I-465 on the West side, take 86th exit 2 miles West. Turn North on Layfayette Road to community entrance on the Right.